Narrabri Park Run is a free 5km run, walk or jog that takes place at 7:45 every Saturday morning at West Lake, Narrabri. Register online and print your barcode to take along with you. Children under the age of 11 years must be accompanied by an adult. For more information phone Anna on 0428 892 340. Goondiwindi Parkrun is held at 6:45 every Saturday morning at the Skate Park at Riddles Oval in Lagoon Street, Goondiwindi. If you would like to join in, register online and print your barcode to take along with you. Dogs are allowed but must be on a lead at all times. St Vincent De Paul Moree is open Tuesday to Friday from 9am until 1pm with new stock arriving weekly. For more information visit Vinnies at 65 Frome Street, Moree. The Moree Men’s Shed opens every Wednesday and Saturday morning from 8 until 12 o’clock, at the Moree Showground. Get hands on with woodwork, welding and things that interest you or just enjoy a coffee and socialising. They welcome new members anytime with a cost of $30 per year. For more information phone Peter on 0428 283 311. 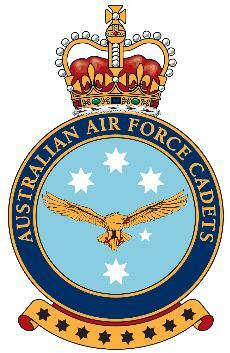 Air Force Cadets, see them on Thursday nights from 6pm in Albert Street Moree, next to the Fire Station. For more information phone Tony on 0467 780 214. Goondiwindi Girl Guides hold meetings every Monday from 5:30pm at the Hut at Riddles Oval in Goondiwindi. If you are a school aged girl and would like to become a member, call Joy-Anne on 0409 217 145.